Cozmo, one of the community managers at Bungie, confirmed in an official forum post that Destiny 2‘s loot drop rate will be seeing some changes when Update 2.2.1 releases. Once update 2.2.1 is released, Season of the Drifter weapons awarded from Destiny 2‘s The Reckoning mode will be easier to earn for players. Their drop rates will be seeing an increase. Bungie has not released the actual percentages for the upcoming Destiny 2 loot drop rate increase, but hopefully it will make a noticeable difference for players trying to earn the unique loot. 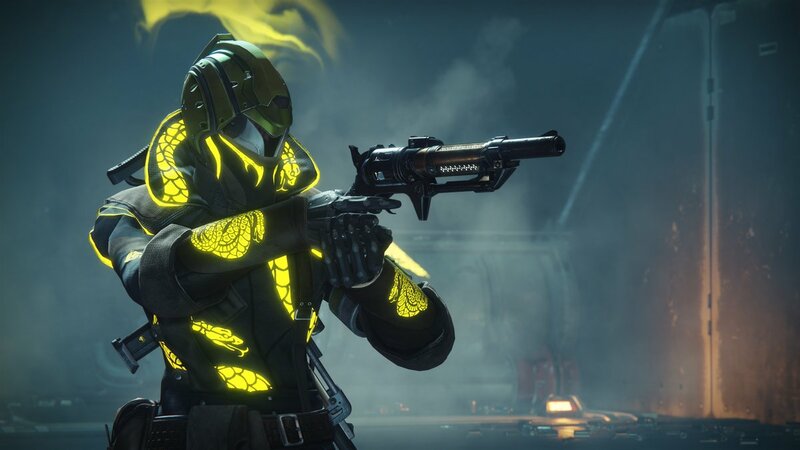 Bungie will also be adding most of The Reckoning’s weapons into Gambit Prime’s loot pool, to further increase a player’s chances of finding that precious equipment that they have been tirelessly hunting down. For those who are unfamiliar with The Reckoning, it is one of Destiny 2‘s endgame activities. Players can participate in it to earn higher tier loot drops. It consists of three tiers, each requiring their own strategies to beat. Tier 1 is fairly straightforward, as it only requires you to clear out all of the enemies before killing a Boss. There will always be one singe modifier, one positive modifier, and one negative modifier active, and these modifiers will rotate daily. An example of a positive modifier would be Brawler, which increases Guardian melee damage. Each tier requires a certain power level, so don’t try to attempt Tier 3 if you haven’t reached the recommended power level for that activity yet. The recommended power level for Tier 1 is 635, the recommended power level for Tier 2 is 660, and the recommended power level for Tier 3 is 680. In The Reckoning, players can also make use of a Raid Banner, which is a consumable that is placed on the ground and will replenish all ammunition for you and your team, allowing you to start every round with full ammo and a Super at the ready. The Raid Banner can be purchased from Petra Venj, so be sure to keep a steady supply. Are you glad to see that the drop rates are increasing in The Reckoning with Destiny 2’s 2.2.1 update? Let us know in the comments below!